Ancient Chinese coinage includes some of the earliest known coins, used used as early as the Spring and Autumn period (770–476 BCE). They took the form of imitations of the cowrie shells that were used in ceremonial exchanges. The Spring and Autumn period also saw the introduction of the first metal coins; however, they were not initially round, instead being either knife shaped or spade shaped. Round metal coins with a round, and then later square hole in the center were first introduced around 350 BCE. 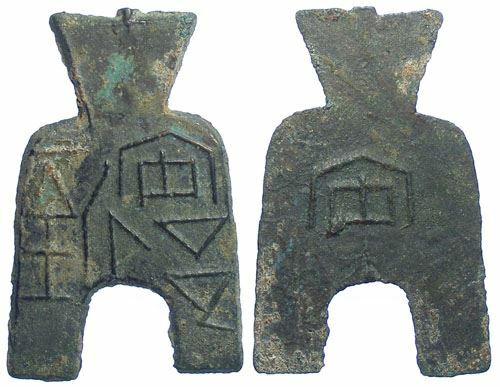 The beginning of the Qin Dynasty (221–206 BCE), the first dynasty to unify China, saw the introduction of a standardised coinage for the whole Empire.